Josie – 9 year old 15 hand heavy built black molly. 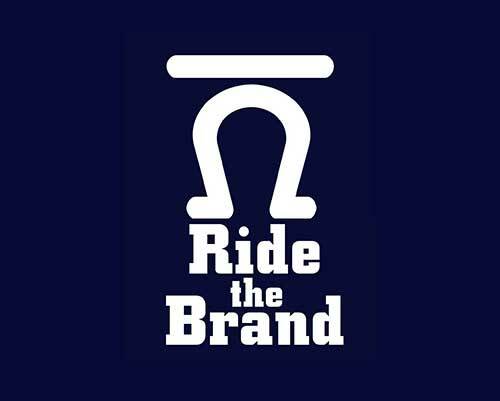 Rides & Packs. 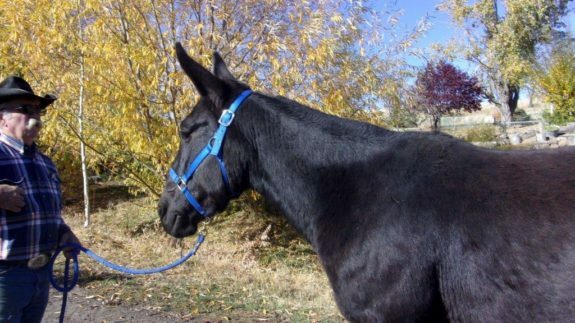 Josie is a stout 15 hand solid black molly mule. She is gentle and very kind. She rides easy and safe out by herself for about anyone who can put a foot in the stirrup. She has been used in the .....Follow along for MORE Details & Photos. Jack – 7 year old Appy type John, 15 to 15.1 hands. Rides and Packs! 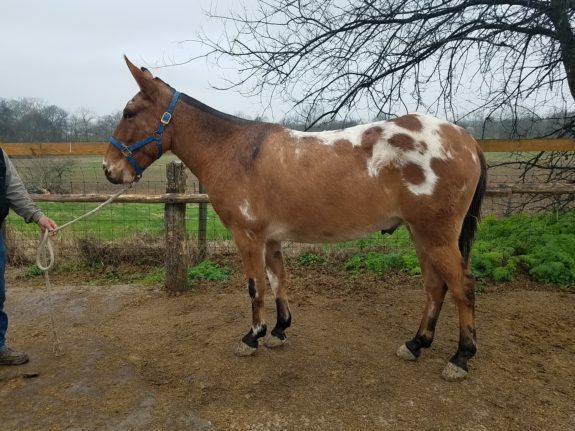 Jack is a 7 year old john mule with a sweet willing personality. He looks up who ever is around to pet him. He rides safe and confident for about anyone, Good with his ears, of course easy to catch .....Follow along for MORE Details & Photos.